National Geographic photographer Jason Edwards. Meet Waqa. Waqa lives in Gugulethu township outside Cape Town, South Africa. After serving time in his late teens for assault, Waqa’s life now revolves around friends, smoking dope, and a passion for hip-hop music known as Spaza, a form of Xhosa township hip-hop he helped to create. 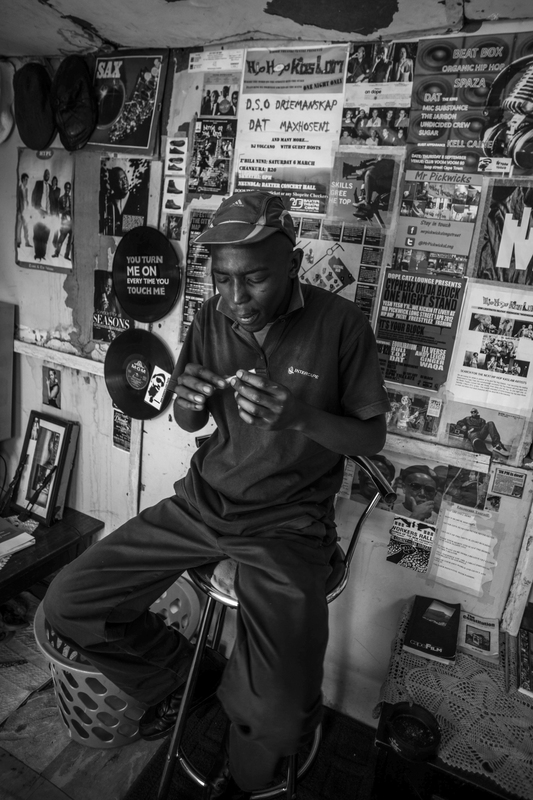 Here, he rolls a dagga (marijuana) joint in his backyard shack, his love of Spaza plastered to the walls behind him. Waqa (far right) and two friends hang out at a local rapper’s house and pass the time smoking dagga out of a broken glass bottle top. While Spaza music is his passion, there are few opportunities to express it and many days end up just like this. 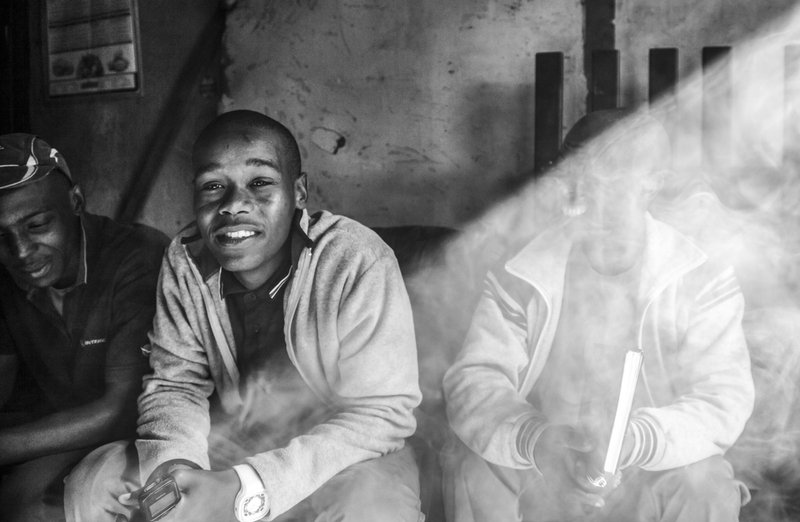 Dagga and Spaza are often found together in the township. Waqa’s friend Lucky (center) runs an outreach group that teaches both locals and tourists about traditional African music—but he also sells marijuana on the side. A shaft of light splits the smoky room. Half revealed and half hidden, part small-time crook and part community musician: like many, Lucky lives on the edge of the law, trying to make a living and still follow his dreams. 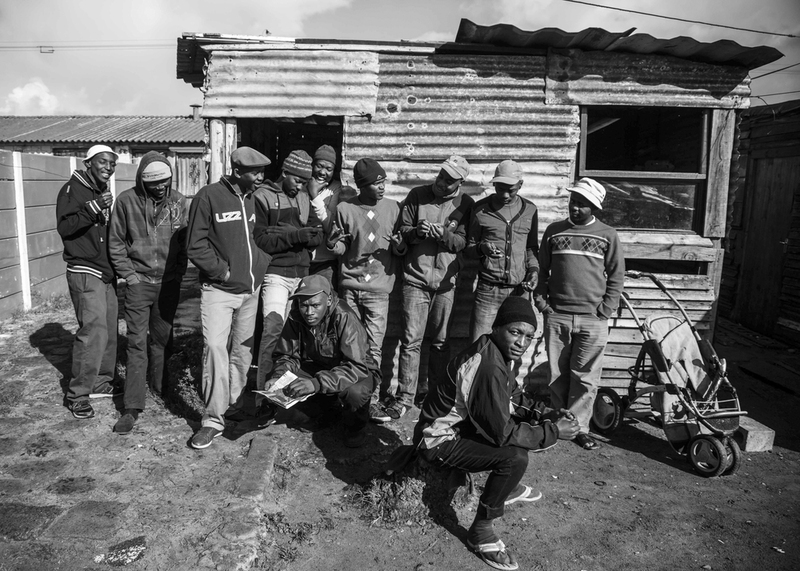 South Africa's townships are infamous for violence, and Gugulethu is no exception. After this photo was taken, Waqa called me asking for a copy. While Waqa has left violence behind, he said most of these young men had gotten drunk and been arrested later that night for the brutal beating death of a township man. The dead man’s crime: not handing over his cell phone quickly enough during a robbery. Waqa wanted a memory. The Spaza lifestyle is modeled on an extravagant, western hip-hop culture, a grand but elusive dream for Waqa and his friends. Born with so little, their hope for a better life is grandiose. Under the gaze of beautiful, unattainable women, dagga smoke masks Waqa and a friend’s faces. In desperate pursuit of something bigger, these young men exist in a fog that obscures the path between their dreams and their reality.